This Wednesday, DC Comics released “New Super-Man” #1. For you non-nerds, DC Comics is the home of pop culture’s holy trinity of super heroes: Superman, Batman and Wonder Woman. 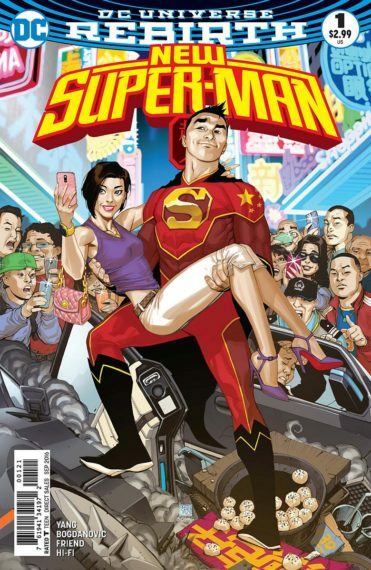 Superman happens to be Chinese. I know what you’re thinking. This is just a publicity stunt. Or this is just an attempt to sell comics to one billion potential Chinese fanboys. Or who cares? Tell me about the natto-ramen-burger joint. Instead, I’ll tell you why it matters. 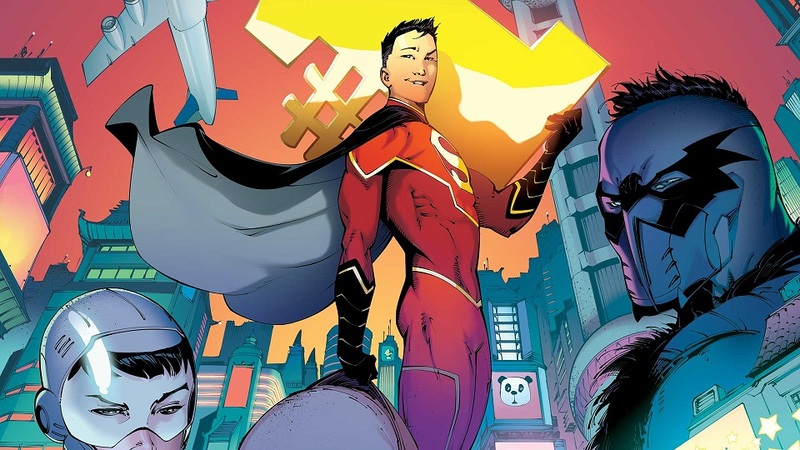 “New Super-man” #1 was written by Gene Luen Yang, who created the Eisner Award winning, “American Born Chinese” and was named a National Ambassador for Young People’s Literature by the Library of Congress. He tells the story of Kong Kenan, a bully living in Shanghai who inherits some of Clark Kent’s powers after his death (that’s right, Superman died. Again. Sort of.). Part of DC’s “Rebirth” reboot, it’s a story about how “truth, justice and the American way,” translates to a communist country. It asks the question, what if you took an American icon and turned him Chinese? But it’s not diversity for the sake of diversity. Yang has an interesting story to tell. And in this #OscarsSoWhite world, that’s important. Yes, it’s encouraging that in recent years there’s been a half black, half Hispanic Spiderman, a Muslim Ms. Marvel, a Korean Hulk, and a gay Batwoman. But what’s more exciting – and is a promising trend for creators of color – is the potential for the unique storytelling that these diverse points-of-views are primed to unleash. When I was a kid, I loved the super-hero “Sunfire” from the X-Men. Not because he could fly and shoot plasma flames out of his hands (although that was pretty cool), I loved Sunfire because he was Japanese and I’m Japanese. Because he kinda looked like me. Sunfire showed me I could be a hero too. There’s something powerful about seeing someone who looks like you doing amazing things, real or fictional, on the movie screen or in a comic book. But while Sunfire was a third-string superhero, Superman is the superhero. In a world where our only Asian heroes are kung-fu masters, ninjas and Glenn from “The Walking Dead,” it’s a bold move for DC to make their most iconic hero Chinese. Whether the “New Super-man” is a success or a failure, that’s one powerful gesture. So what’s next? A Vietnamese Captain America? A Filipino Flash? An Okinawan Wolverine? I wouldn’t hold your breath. But today, there is a Chinese Superman. “New Super-Man” #1 is on sale now at specialty comic stores like Gecko Books and Other Realms Ltd.